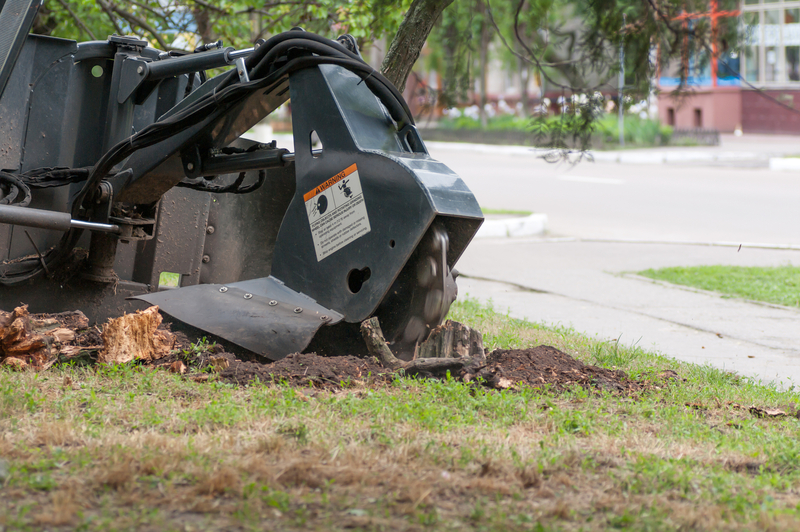 If you have a stump on your property, you may have debated how to remove it. Not only can stumps obstruct your landscape, but they can also be a breeding ground for problematic pests and may pose safety hazards to children and pets. To remove the obstruction cleanly and efficiently, consider the many advantages of stump grinding. People often chop down a tree because it grew in an undesirable place. As a result, many people dislike the look and location of the aftermath on their property. By having a tree service remove the stump with an efficient stump grinding machine, you can maximize your yard’s functionality as well as enjoy a more attractive landscape. Removing a stump may be particularly important to boost aesthetic appeal if you plan to sell your property. A stump grinding machine can quickly transform the stump into a pile of recyclable wood chips without damage to your property or the environment. On the other hand, if you allow the stump to rot, it may smell, attract insects, and become vulnerable to disease. Spraying the stump with harmful chemicals can pose health risks to you and your family, so having the stump ground down and disposed of entirely may be your safest option. New growth often crops up around or sprouts directly from old stumps. If you removed the tree in order to free up space on your landscape, it can be irritating to deal with constantly removing these sprouts, especially as they will often demand support from a professional arborist. To eliminate the issue once and for all, invest in a stump grinding service. If you want a stump removed from your property in Hancock County, consult the experts who can help. With over 30 years of experience in the industry, you can count on the professionals from Tidwell’s Tree Service throughout Middleville and Macon, GA, to provide you the high-quality stump grinding services you need. For more information about tree cutting, grinding, and hauling services, visit the business online, or call them at (478) 452-0234.